In ages past, it was common for artists to both paint and sculpt. Da Vinci, Michelangelo, Degas, Matisse – all painters and sculptors. These days, most artists seem to specialize. Why is that? It could be that artists are responding to market demands or it could be that sculpture is no longer taught with the same regularity and emphasis as in the past centuries. Some art teachers simply avoid teaching sculpture. Sculptural processes can be expensive to teach and teachers must work within the budget allotted to them. Sculpting in metal, for example, requires welding equipment, plasma torches and sometimes a forge. Clay and wood sculpture have limiting factors as well. Another reason sculpture may take a “backseat” to two-dimensional art is space. Sculpting typically demands a larger work space and, once a piece is finished, many sculptures need a room or dedicated space for exhibition. Low relief sculpture is different. It doesn’t require a major investment and since most of these sculptures are quite small, they don’t require a lot of space to store or display. 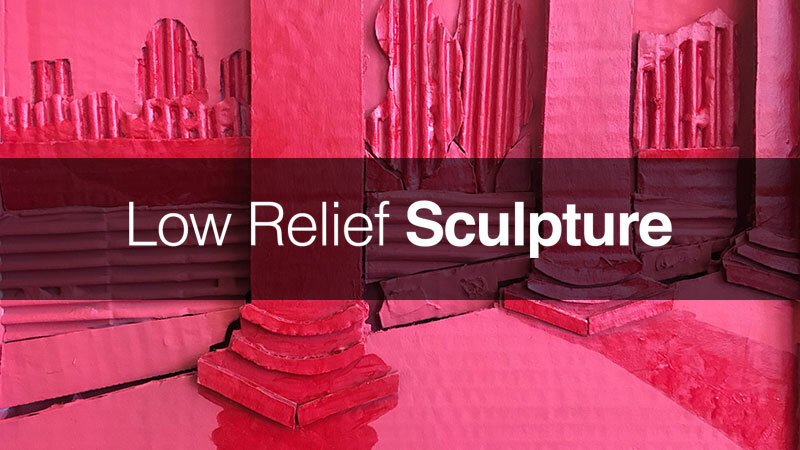 This makes low relief sculpture an excellent choice for introducing your students or yourself to sculptural processes. Below are the steps to a low-cost, space-saving sculpture project meant to introduce sculpting as a means of expression. 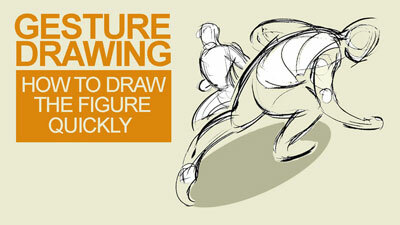 Before jumping in, let’s first define the three types of sculpture. When most people think of sculpture they think of “sculpture in the round”. Sculpture in the round has a front and a back. It is meant to be seen from all sides. In most cases, sculpture in the round is displayed on a pedestal or in an environment that encourages the viewer to view the sculpture from all sides. Another form of sculpture is called relief sculpture. Relief sculpture is meant to be seen from only one side. There are two subcategories of relief sculpture – high relief and low relief, also called bas relief. High relief sculpture stands out from the flat surface, sometimes to a great degree. 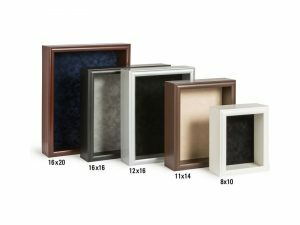 In contrast, low relief sculpture does not stand out as much and may feature parts that are indented into the flat surface. 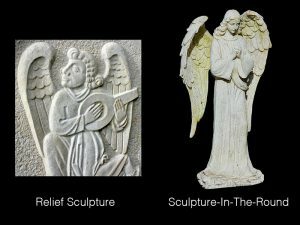 As you may imagine, the line between these two forms of relief sculpture can be very thin and determining whether a relief sculpture is high relief or low relief can be quite subjective. 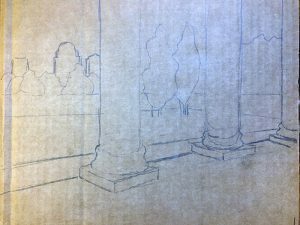 This following step by step features a low relief sculpture that is inexpensive to make and doesn’t require any more space to display than a drawing on paper. This project makes use of the elements of art, shape, space and texture. Shape – a 2D enclosed space. Space – the area above below within around and between things. Texture – the way something feels to the touch or looks like it may feel if it were touched. 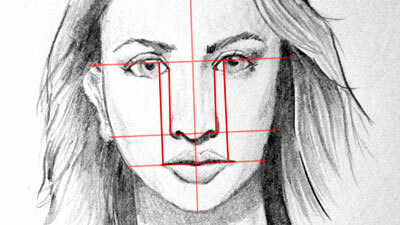 Step One: Make a simple line drawing of your subject on a sheet of paper that is the same dimensions as your card board base. Focus on shape. You may also draw directly onto the cardboard base but using a separate sheet of paper helps in cutting out your shapes from the cardboard. Step Two: Cut out the shapes made by the outlines of your drawing as though you are making a puzzle. Step Three: Lay your paper shapes on your card board and trace around them. 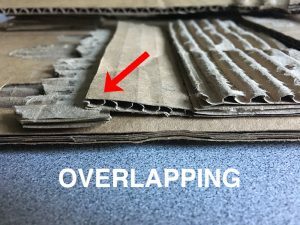 Now you can accurately cut out your shapes from the corrugated cardboard. If you made your contour line drawing right on the cardboard base then cut out the shapes to match your drawing. You can lay them on the base and trim them until they match the drawn shapes. Step Four: Begin building your relief sculpture. 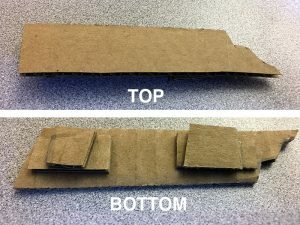 As the example demonstrates, you may make all or parts of your background by cutting and removing the top layer of paper from your cardboard base, revealing the corrugate pattern underneath (see example). Then begin gluing down your shapes, starting in the background and working toward the foreground. Cut your background and middle ground shapes a little long on the bottom edges so that the next closest shapes overlap those edges (see below). Overlapping is one of the ways to indicate space in an artwork. Tear the top layer of paper off of some of your cutout shapes to add more visual separation (contrast) to your pictorial elements. 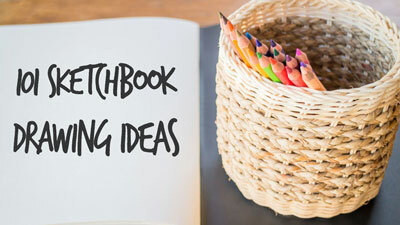 Presentation is everything, especially when you are using low-grade, disposable materials. A nice presentation will lend credibility to your artwork. That is, if it looks as though you care about your artwork then others are more likely to care as well. 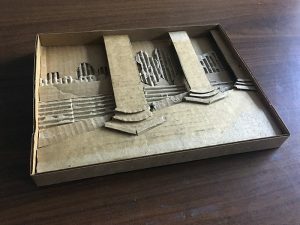 As long as you use a standard size (11″ x 14″ recommended) for your cardboard sculpture’s base, you can purchase a nice shadow box and simply insert your relief sculpture into it as a means of hiding the rough edges. If you are a purist (like myself) you can use cardboard to finish the edges of our sculpture. Measure the maximum height of your sculpture. Cut long strips of cardboard to approximately ¼ inch wider than the maximum height. Attach/glue the strips around your relief sculpture. For a neat and clean look, use as few pieces of card board as possible. Bend or fold the strips around the corners of the base as opposed to having the edges of two strips meet at a corner. Your sculpture is ready to display as is. However, you can push this project further, particularly if the look of raw cardboard is not appealing to you. Relief sculpture can occupy a unique position between painting and sculpture in the round. 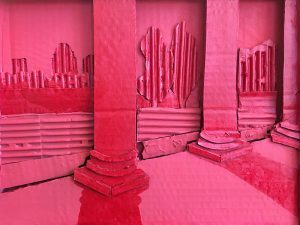 You might embrace the dual nature of relief sculpture and paint or draw on your sculpture once the construction is complete. I believe painting is the best option. 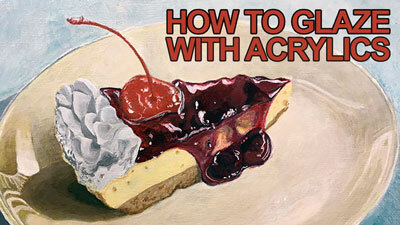 Acrylic, tempera, oil paints, and even spray paint are suitable for painting on cardboard. If you use acrylic, tempera, or spray paint you might first prime your sculpture with white so that your colors are vibrant. If you choose to use oil paint, then you must prime your piece with gesso. Otherwise the oil will penetrate the cardboard and your artwork will begin the slow process of rotting away. I chose to spray paint my piece a light red. Then I added a slightly darker red using acrylic paint for additional contrast. We live and operate in three-dimensional space, just like a sculpture. Sculpture directly correlates with our intuitive understanding of space. 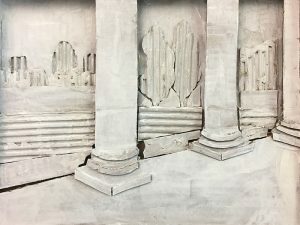 Relief sculpture is an excellent way to dip your toes into the world of sculpture without making a major investment in tools or materials and without requiring a vast amount of studio space.